The Bank for International Settlements, Banker’s Bank has released their latest annual report. We looked at the section on how banks are fudging their ratios in our earlier post “Are Some Banks Cooking the Books?” But within its 114 pages, the BIS report also painted a worrying picture of where the global economy stands. They say, economies are trapped in a series of boom-bust boom-bust cycles which are driving neutral interest rates ever lower and driving debt higher. The bigger the debt the worse the potential impact will be should rates rise (as they are thanks to the FED). 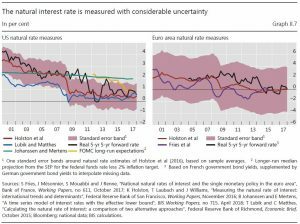 Yet in each cycle “natural” interest rates are driven lower Implicitly, the current settings are wrong. It is as clear an articulation of the underlying issues which are driving us towards the rocks, and at quite a clip. I still hold 2019 as the critical year, my four scenarios still seem about right, with risks biased towards more concerning outcomes. Claudio Borio, the BIS’s chief economist said “The end may come to resemble more closely a financial boom gone wrong, just as the latest recession showed, with a vengeance”. This is a dark warning, coming as it does from the organisation which is effectively the peak body for central bankers around the world. This is no fringe movement. This is the brain of the banking system speaking! 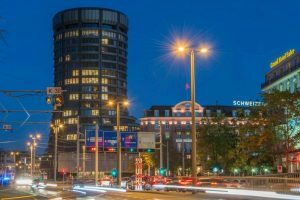 In fact, the risks in the global monetary system remain from the Lehman crisis in 2008 and aggregate debt ratios are almost 40 percentage points of GDP higher than a decade ago. The BIS says central banks are on the horns of a dilemma. Do you lift rates sharply as the FED has done, or go slowly, both are fraught with difficulty. They call this the ‘great unwinding’ of the debt laden stimulus, and again it seems we are in uncertain and uncharted territory. As the report says, “A strategy of gradualism is no panacea, as it may encourage further risk-taking”. The gloom was overdone early last year but now exuberant investors may be making the opposite error, with the world 12 months further into a stretched financial cycle. Has sentiment has swung too far? The truth is, those hoping to time global asset markets by waiting for the usual signs that the cycle has peaked risk being caught off guard. The deflationary forces of technology and a globalised labour force mean that trouble can creep up on them before inflation emits the usual warning signals. The bank says under the precious “Phillips Curve” model, wage growth would pick up late in the cycle as the economy reached full employment. Wages would rise and inflation would pick up. So then the Fed and other central banks would lift rates – boom-bust, and it would usually lead to a recession. But, now globalisation has killed the inflation warning signals. Then you have more than 2 billion people coming on stream into the global economy from China and Eastern Europe has dampened wage growth and as a result a substantial and lasting flare-up of inflation does not seem likely. Instead the excess stimulus driven by low rates has simply gone into asset bubbles instead. It may look benign if inflation is low but the BIS argues that it is extremely damaging. The cycle ends with a financial crisis. Again. In fact, my read is that the BIS are saying (in bankers speak perhaps) that the big central banks misread the globalisation era with too much stimulus letting assets booms run, but stepping in with maximum stimulus in busts. The Fed and others have in effect drawn forward prosperity from the future. It takes ever lower real interest rates with each cycle to hold the system together. At some point interest rates will hit the limit. So now the way ahead is fraught with danger, as rates are lifted, the risks of a financial crisis follow, and the prospect of a benign set of outcomes is now fading. The BIS says the only way for the world to dig itself out of this hole is to raise productivity from its current anaemic levels. Countries must reform and shift fiscal policy from consumption to investment. And in a parting shot, the report says, the most destructive course is to undermine free trade itself and impose trade tariffs and other forms of protectionism. “Rolling back globalisation would be as foolhardy as rolling back technological change,” Mr Borio said.